I figured Tea Nerd should start off on a good note, so the first review is of the 2006 Margaret's Hope White Pearls. This was quite an amazing tea, both to look at and to drink. 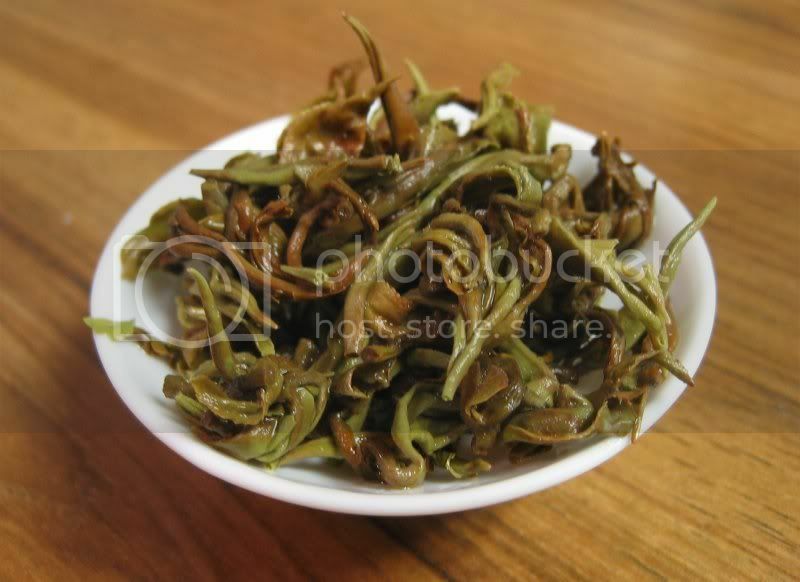 The dry leaves, while not all that aromatic, were exceptionally downy (meaning covered in the fuzz that makes white tea white in color). Not all of the leaves were white, as you can see from the photo to the right, but the majority were. According to the vendor, the leaves were picked with utmost care, so that they were handled by just 5-10 workers. Especially for what seems to be an experimental batch (as only 10kg were made, according to the vendor), this was a magnificent example of what tea can be. Clearly a white tea, and also clearly from Margaret's Hope. I like my teas to be sweet (without adding sugar or sweetener, of course), and this did not disappoint-- not only was the classic white tea sweetness present, but there was also a beautiful muscatel note-- reminiscent of the "Muscatel Delight" second flushes-- especially in the second and third infusions. 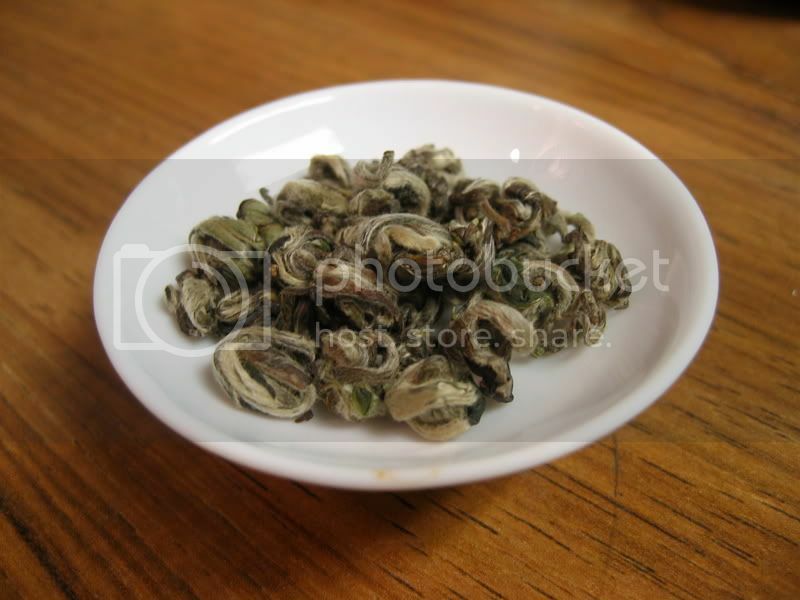 Surprisingly potent for a white tea, these little pearls held out for many more infusions than I expected. Personally I would recommend a gaiwan for brewing this tea, as it is easy to control steeping conditions and allows for a larger number of flavorful infusions. This photo shows the leaves after several infusions. The main drawback was definitely the price. Not only did it cost $27.75 for 50 grams, but the shipping was $23! Don't get me wrong, the shipping was lightning quick, especially coming from a mountain town in India (Thunderbolt Tea offices are located in the town of Darjeeling), but there was no slower/cheaper alternative. If you do buy anything from Thunderbolt Tea, make sure to buy a lot at one time. Except for the lack of shipping options to the US, I found Thunderbolt Tea to be a very nice vendor. Their website is nice, and their selection, while not as large as Upton Imports, is of high quality. Also, I saw one very nice thing I rarely see on a vendor's site: some teas were actually sold out. You might ask why this would be a good thing, but think about freshness. If a vendor sells most if not all of their entire stock from season to season, you know that what you do manage to buy has not been sitting around in a warehouse for very long. Overall, this tea gets a 9/10. An incredible tea, but too pricey and rare to become a staple in my tea diet. Hey! Great blog! I cant wait to see what else you put up on here! Yeah!! Totally agree a great white. 2006 First-flush Fukamushi Sencha "Myou-Kou"
The first Tea Nerd post!